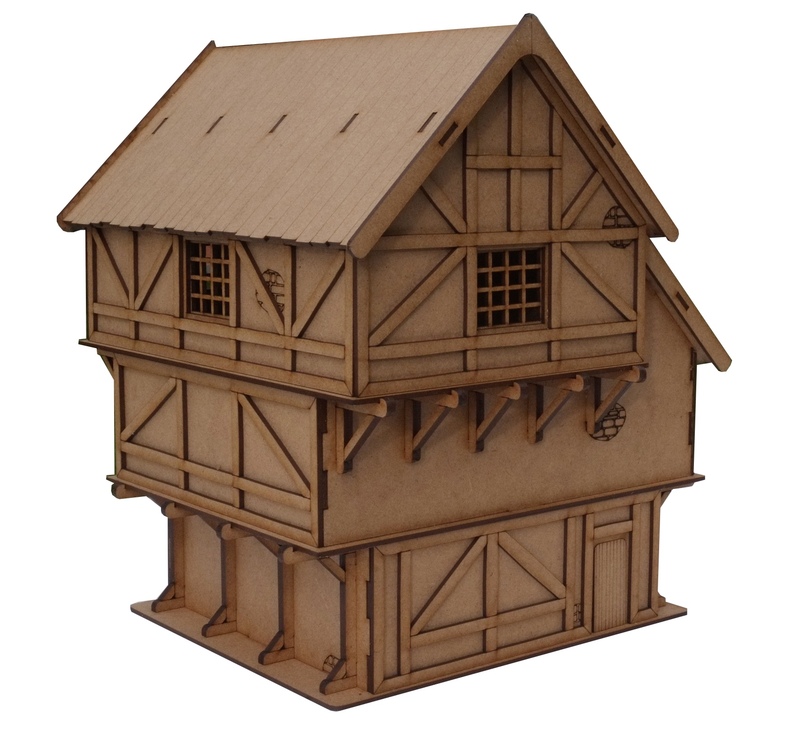 Our centre piece fantasy/Medieval village inn is a substantial three story building that would look great on any gaming table. The ground floor had two doors and two front windows. There is exposed timber cladding and beam floor supports for the first floor, which again comes with timber beam cladding and floor support beams for the top floor. The top floor has a removable roof and again has timber beam cladding. There is exposed brick engraving to all floors. 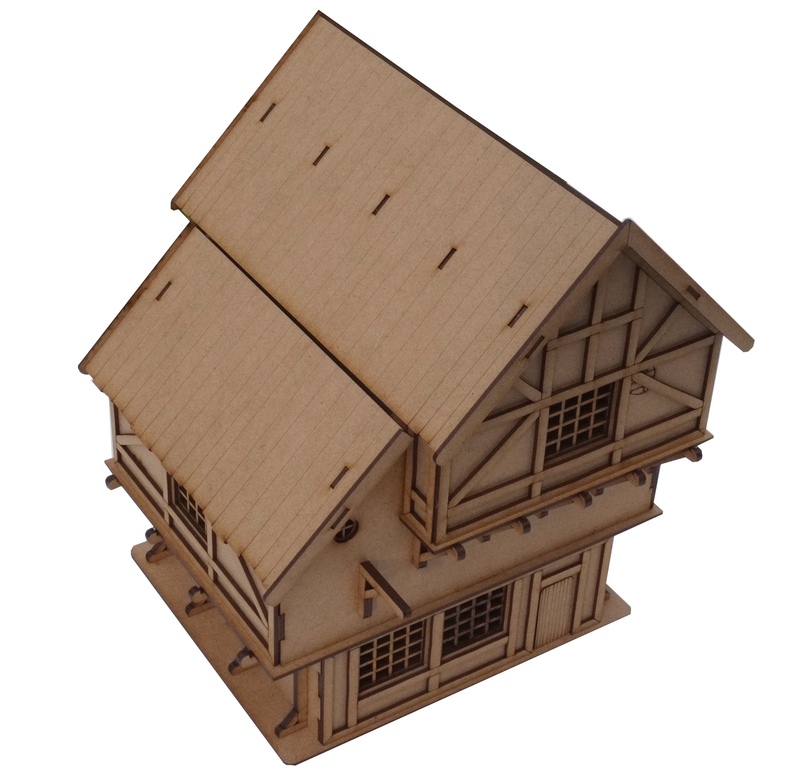 The kit comes with a blank pub sign that hangs from a beam on the front of the inn. 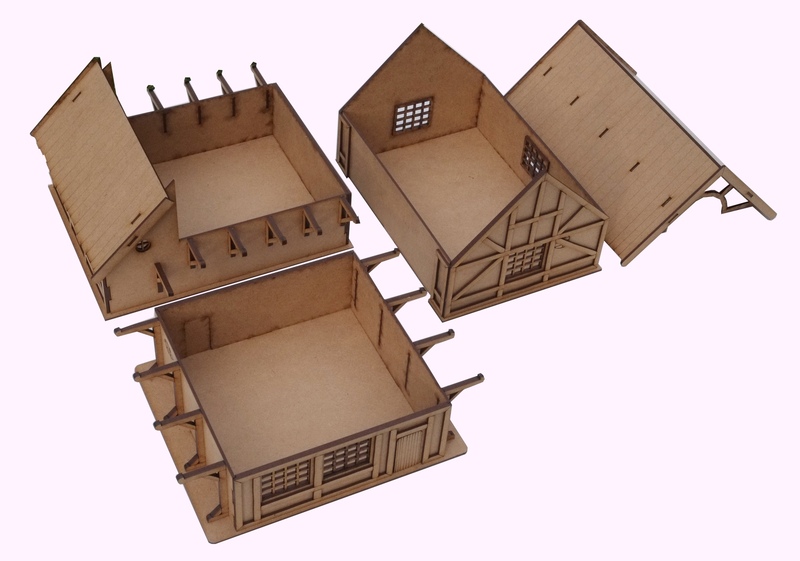 The kit measures 230mm x 230mm x 265mm high.